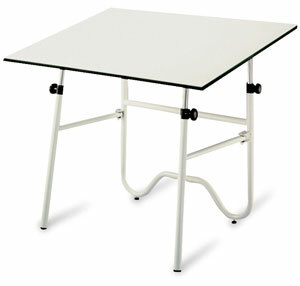 Alvin's Onyx Drafting Table offers complete flexibility. It sets up in minutes, and folds away in seconds. Adjust the Onyx's height from 30" to 40". Change the angle of its working surface from 0° to 45°. 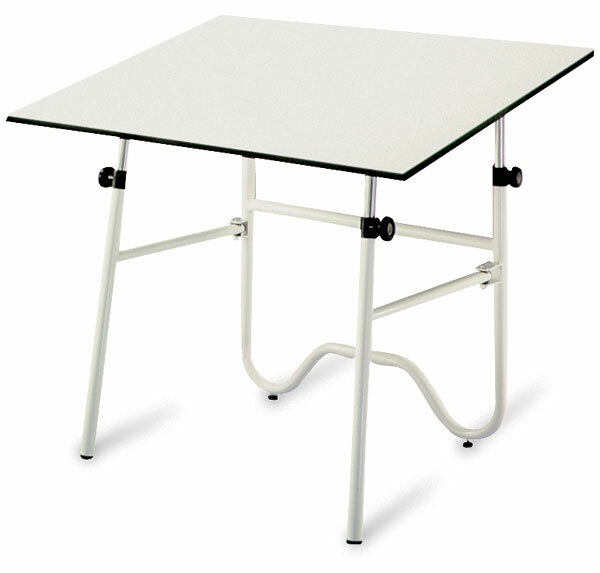 The base is made of round 1½" (4 cm) tubular steel, and is available in either black or white. The fold-away gate hinge permits the foot base legs to fold flat to 5" (13 cm), including the board top. The working surface is white Melamine® laminate and is warp-free. Some assembly is required.